A plan is being put in place to introduce speed calming on 30 roads in Lewisham. 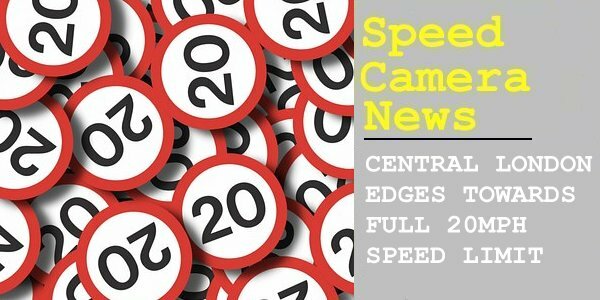 Speed cameras will police some of the 20mph limited roads that were introduced across the London borough in 2016. This is part of the wider plan to roll-out the speed limit across all of central London's roads by 2020. Lewisham council are looking at using cameras on only certain stretches of larger roads with a high-risk of collision. They say that the devices would monitor roads where they'd prefer not to use speed bumps of other traffic calming measures, as they are either too expensive or troublesome for emergency vehicles. Speaking about the council's target of recovering costs through fines, a spokesman for Lewisham Council said: "Any surplus could be used to improve road safety. We have to talk to Transport for London (TfL) and police because it's done in partnership with those organisations." Reportedly, pedestrians hit by a vehicle driven at 20mph are five times less likely to be killed than if they are hit at 30mph. From my many recent trips round London there are indeed many 20mph streets. The main roads are still 30 but turn off into a residential street and you see the 20 signs = loads of extra street furniture making it look untidy. This is also happening in Manchester - ludicrous situation of dozens of short dead end side streets which all have two 20 limit signs backed by 30 limit signs. At what cost? Councils spending highways money on signs instead of pot holes? I thought that in Brighton, there were actually more accidents in 20MPH zones than there were when they were 30. This is how the government conned everybody - allowed councils the freedom to decide to setup 20mph zones, means councils take the flak, not the government, and means the councils have to fund all these costs. Whereas the only true logical way of doing it would have been to singularly reduce all 30mph zones to 20mph and fund it by central funds. Much cheaper to simply replace the 30s with 20s - none of the stupid expense of zillions of 20mph repeaters in the back streets. Much simpler to understand - the speed limit in town is now 20mph, not 30, no wondering if it's been changed and you didn't notice. Just leave it at 30 to reduce accidents and slow traffic pollution. Oh, and zillions of pounds. Most Nottingham streets other than main roads are now 20mph. Nobody takes a blind bit of notice.